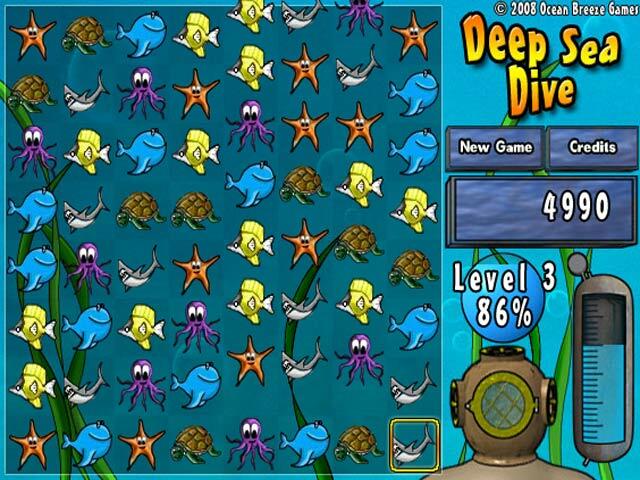 Collect vibrant aquatic specimens by matching them in columns or rows of three or more in this exhilarating puzzle game! 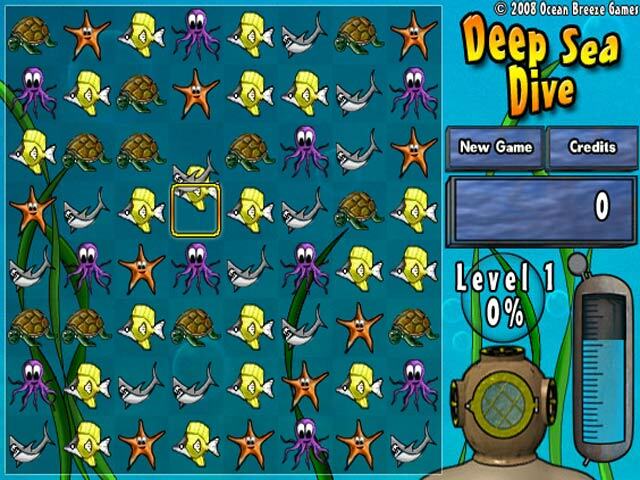 Match enough marine animals to proceed to the next level before your diving suit runs out of air. 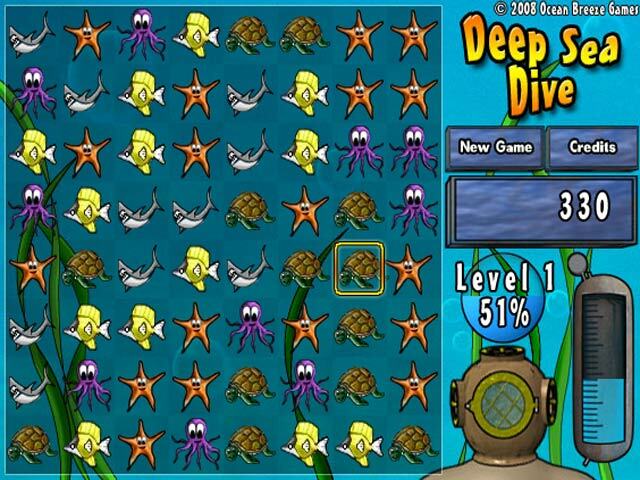 Experience the thrill of deep-sea exploration from the comfort of your own home with Deep Sea Dive!